Parmesan Crusted Salmon - Let the Baking Begin! 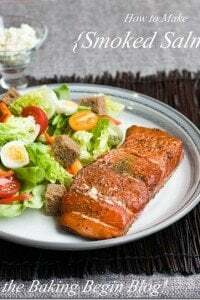 Parmesan Crusted Salmon – the beautiful parmesan crumb crust imparts lots of parmesan flavor to the baked salmon and the genius way of controlling the temp when cooking it will yield the most flavorful and juicy salmon fillet. 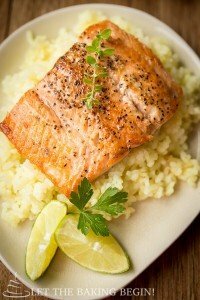 Those whose family is into fishing, know that it’s salmon season, which means that this is when we get to eat a ton of fish. This recipe is just another way we take advantage of the abundance. They claim that by placing the salmon into a blazing hot oven, the juices get sealed in, then, by baking salmon the rest of the time at a lower temperature we preserve the juices on the inside. I can not verify this claim scientifically, but I can tell you that it sure tastes like the theory is correct, because this Parmesan Crusted Salmon was to die for! 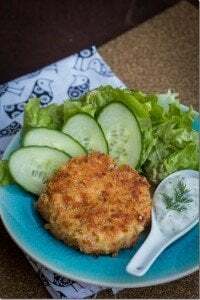 Parmesan Crusted Salmon - the beautiful parmesan crumb crust imparts lots of parmesan flavor to the fish and the genius way of controlling the temp when cooking it will yield the most flavorful and juicy salmon fillet. Meanwhile, wash the fish fillet and dry with paper towel. 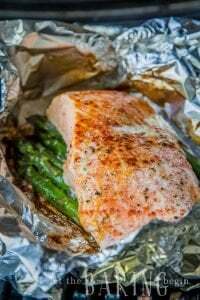 Place fillet on a baking sheet lined with foil or parchment paper. Sprinkle with olive oil or apply a thin coat of mayonnaise. Sprinkle the salt, pepper & garlic powdered or pressed garlic on top. Mix the breadcrumbs & Parmesan cheese. Sprinkle the breadcrumb mixture and press it in with your hand. If you want to have individual servings, cut the fillet into individual portions. Place the baking sheet with fish in the oven and turn the heat down to 275F, immediately. Bake for 9 minutes. Then, broil for 3-4 minutes until the crust becomes golden in color. Delicious! Making this ahead for lunches, have you ever frozen leftovers? Just wondering how it tastes afterwards? Thanks Aimee! I can’t tell you anything about freezing leftovers as I haven’t done it myself. May be someone else has and can tell us how it was? I have made this twice, each time I have found the fish under cooked even though I cooked it at 275 for ten minutes the second time. I also broiled it for the recommended time and it nearly burned. Is the thickness of the filet a factor? Yes I did preheat to 500 each time. To complete the cooking process I took it off broil and baked it at 275 for at least 2 more minutes with foil on top. It is a great dish. Hello Patrick, thanks for your feedback! And, yes fillet thickness is a factor, and what do you mean by undercooked? 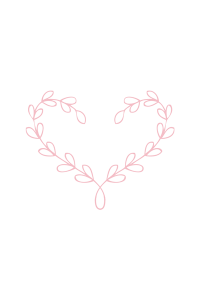 Was it transluscent pink? Because with this method the fish should be very moist but not translucent. As far as broiling it says to broil it for 3-4 minutes until golden in color, so next time just watch it and remove it from the oven as soon as it gets golden in color, for different ovens it might different time. This was dinner tonight. It turned out great. It was juicy and flavorful yet so simple and quick. My oldest loves it as do I. Thank you for the recipe. I’m happy to hear that your family enjoyed this recipe! Thanks for your feedback! Just want to let you know I made this a couple weeks back for my husband and myself for supper. It was a hit with both of us for flavor and with me for ease, simplicity, and little clean up. We will definitely be having this again. I’m looking forward to dinner! I’m making this tonight!! Love Salmon and I got a couple of filets from a friend who scored well in Pulaski! Thanks for sharing!!! Let me know how it goes Kelly! This may just be the most gorgeous salmon ever! Marina, privet. 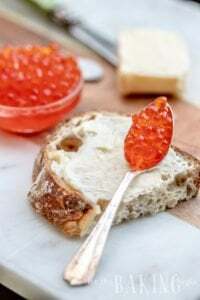 Thanks for the recipes and very nice blog. By the way, where did you get such beautiful plates? I bought them at Home Goods a while ago.